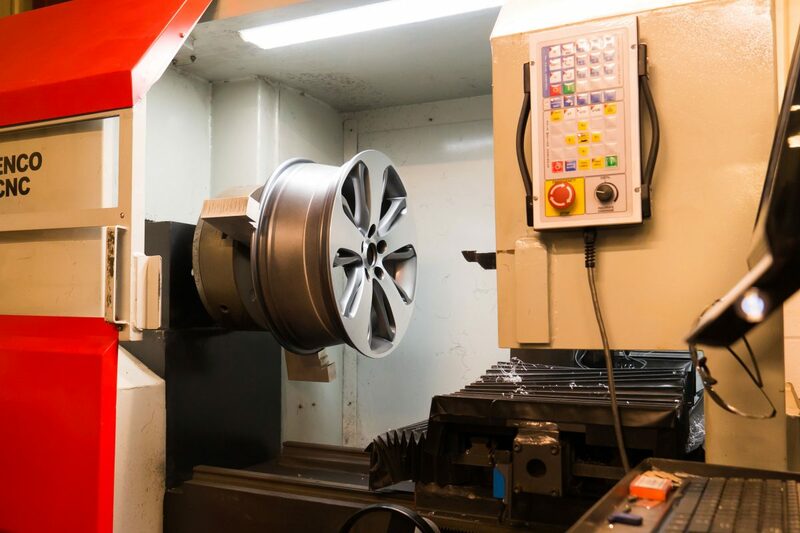 Our alloy remanufacturing experts have the very best equipment at their disposal, all located in our state of the art workshop. Because everything is under one roof our process is consistently faster and more efficient than our competitors. 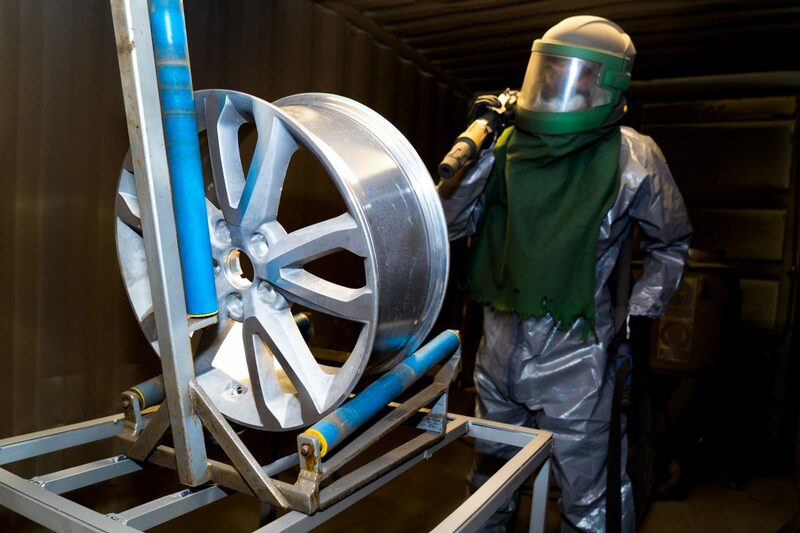 After a chemical strip takes the alloy back to bare aluminium, high powered blasting equipment removes all remaining dirt, tar, grit and corrosion from the surface of the wheel. After blasting, the wheels are sanded to remove any deep corrosion, a process which adds the required ‘key’ to the surface. 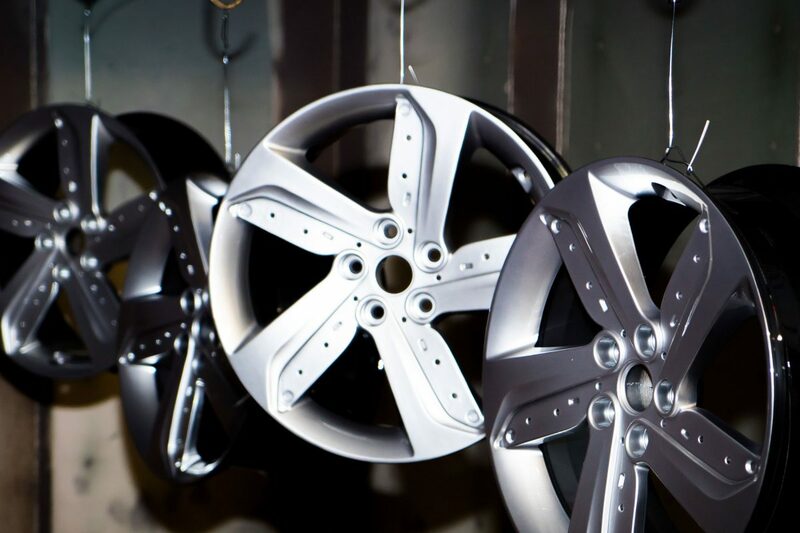 Unlike most other wheel remanufacturing companies, we apply a powder primer to all the wheels we work on. This product has the anti corrosion properties required for the longevity of the wheel. This helps create the strongest possible bond between the surface and the first powder coat which seals as tightly as possible. This process ensures the longest lifetime of the wheel surface. 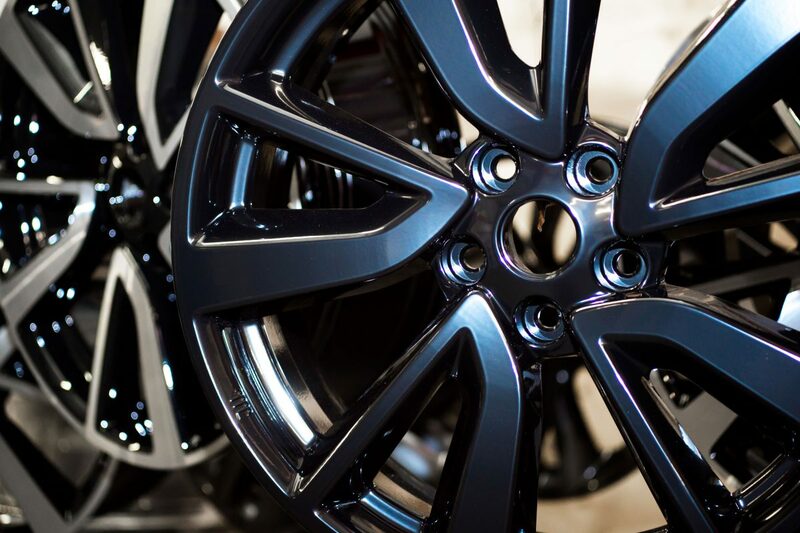 Significantly more durable than conventional paints, powder coating leaves your wheels or bodywork with a high quality, incredibly durable finish that is not only more efficient than paint but also has far less negative impact on the environment. 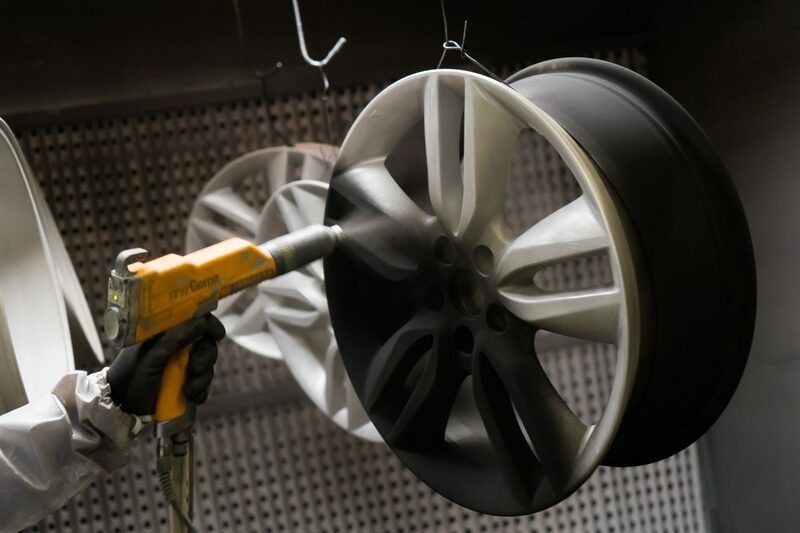 After applying the base coat we bake the wheel to cure the coating before hanging to dry at room temperature to ensure a completely set coat. Once dry the wheel is then cut and trimmed with a precision diamond-tipped lathe in a CNC machine. 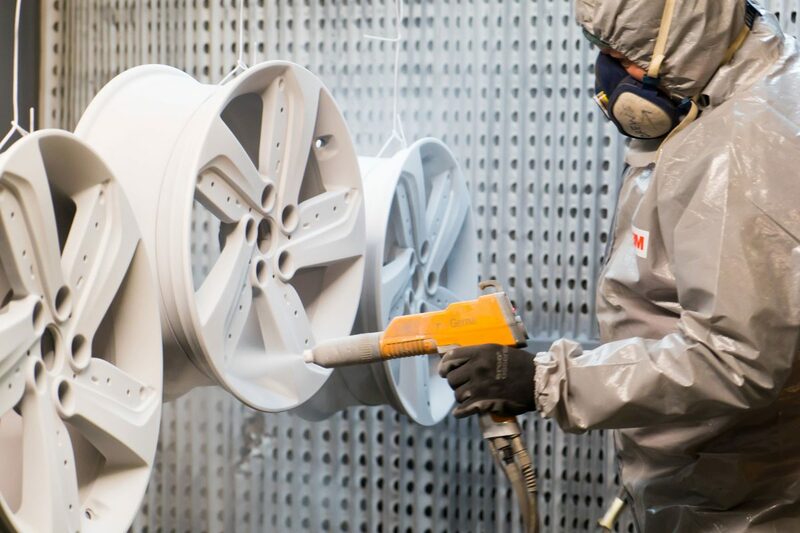 This allows our team to remove ultra-thin layers of metal, leaving an ultra shiny chrome-like finish on the face of the wheel. We finish the process by sealing the wheel with a coat of clear gloss powder lacquer. After one last oven curing, the wheels are hung for cooling and the fully remanufactured wheel is ready for quality control. Nothing leaves our workshop without a thorough quality check from our experienced team of alloy experts.